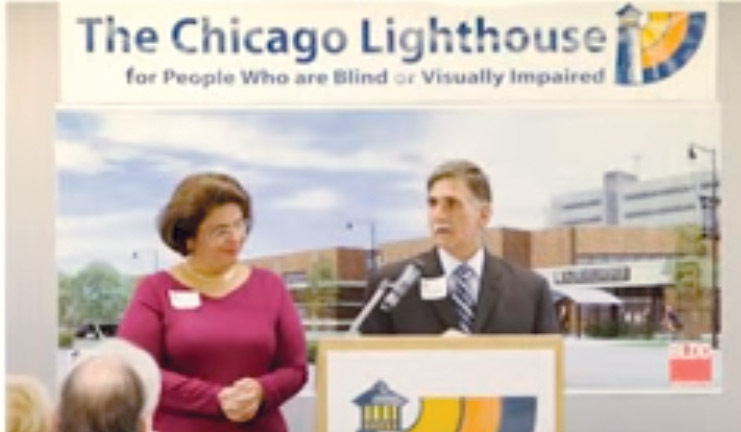 In part because of his experiences with visual impairment, Mr. Pangere helped launch the Pangere Center for Inherited Retinal Diseases in partnership with The Chicago Lighthouse for People Who are Blind or Visually Impaired. The center will be led by world-renowned ophthalmologist and researcher Dr. Gerald Fishman, who was listed as one of Chicago Magazine’s 100 Top Doctors in 2015. He and Pangere have known each other for more than four decades.